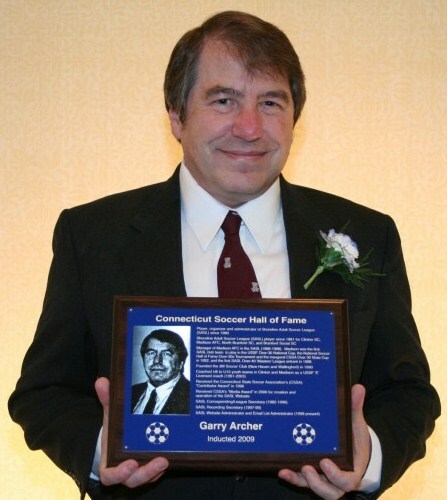 Garry has been a player, organizer and administrator for the Shoreline Adult Soccer League (SASL) since 1980. He has been an indispensible league official and has helped SASL grow into the largest adult soccer league in the state. Adult players have come to rely on the vast soccer information on his website (www.sasl.com) and in his regular emails. 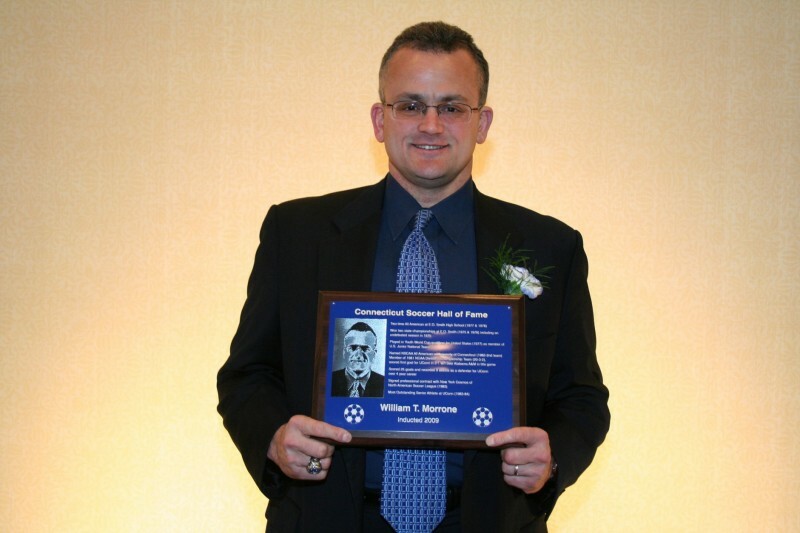 Details: Shoreline Adult Soccer League (SASL) player since 1981 for Clinton SC, Madison AFC, North Branford SC, and Branford Social SC; Connecticut State Soccer Association’s (CSSA) “Contributor Award” (1996); CSSA “Media Award” (2000); SASL Corresponding/League Secretary (1982-1996); SASL Recording Secretary (1997-99); SASL Website Administrator and Email List Administrator (1999-present). Joe’s vision, pace, and exceptional ball control made him a complete player capable of changing a game at any time. 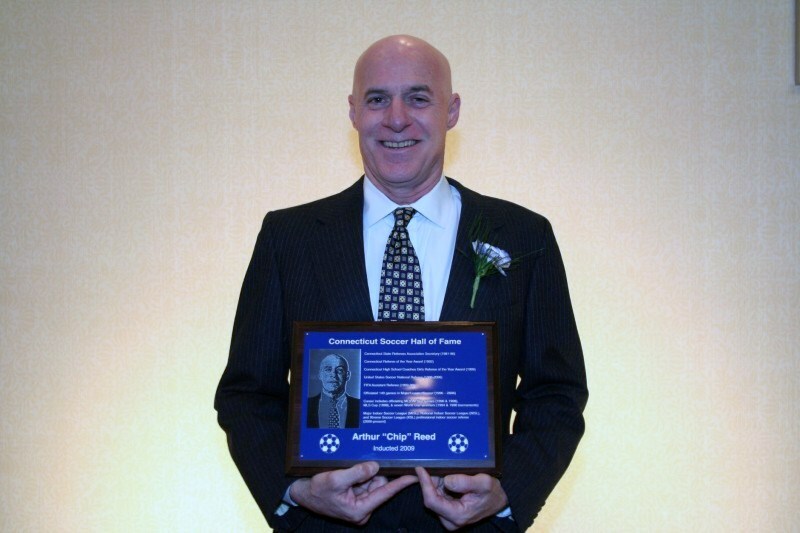 He registered 41 goals and 17 assists in four seasons with Southern Connecticut State University (1982, 84, 85, 90) for 9th place on the all-time school scoring list. Details: Senior Bowl (1990); represented US National Team (1990); Led SCSU Owls to undefeated season (22-0-1) and NCAA Div. II National Title (1990); Pro soccer for CT Wolves, Boston Storm (USISL ‘A’ League) and GD Chaves in Portugal; Sacred Heart University Women’s Soccer Coach (1992-1994, 2000-04) and NEC Coach of the Year (1994 & 2001); Coached Univ of Bridgeport Women (1995-99) and Men (1997-99) and earned NECC Coach of the Year (1997); Sacred Heart University Men’s Soccer Coach (2005-present). Tom has been a nationally recognized coach and trainer at the high school, regional and national level. 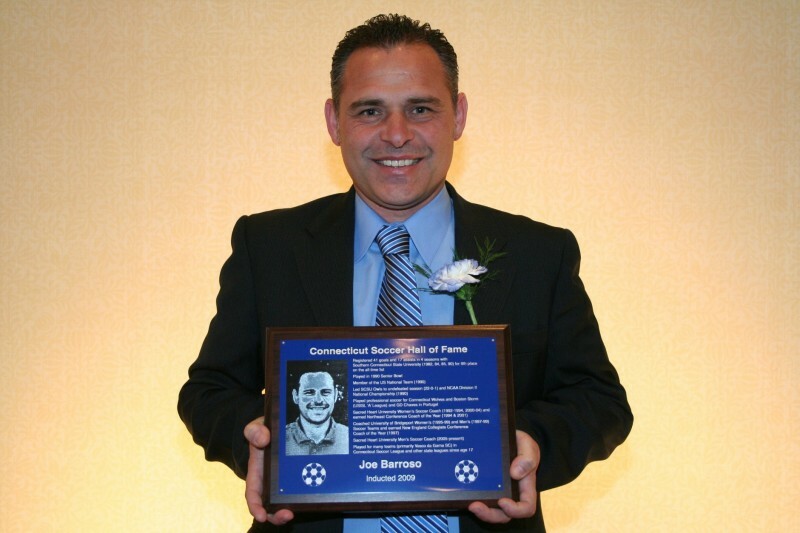 Details: Suffield High School Boys Coach (1987-89) with 38-8-2 record, (#10 USA Today national ranking); Connecticut Junior Soccer Association Olympic Development Program Coach (1987-1996) and Boys ODP Director (1990); U. S. Region 1 Olympic Development Program Staff Coach; Founder of World Class Soccer CT, which has recorded 26 CT Open Cup title, 4 Region 1 Championships, 2 National Championships (1 Youth, 1 Amateur); 3 US Youth Soccer Region 1 Sportsmanship Awards; 1 US Youth Soccer National Sportsmanship Award; USSF National Staff Coach (2000-01); U.S. 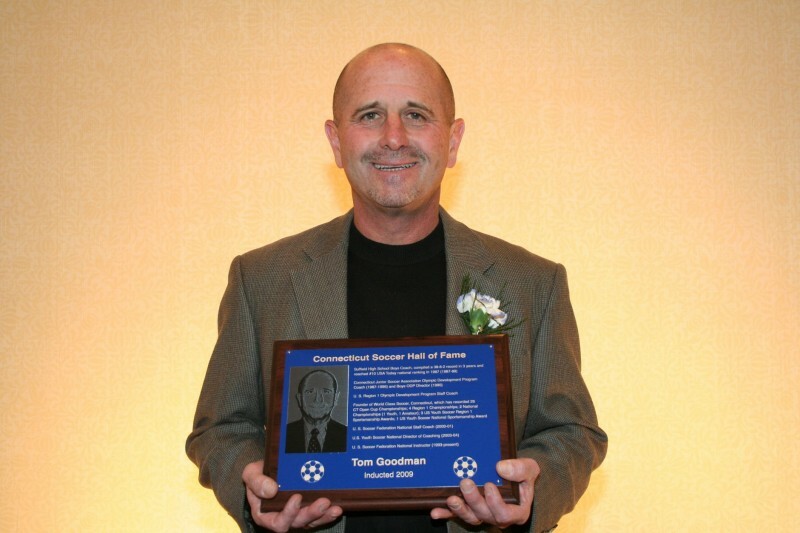 Youth Soccer National Director of Coaching (2003-04); USSF National Instructor (1993-present). 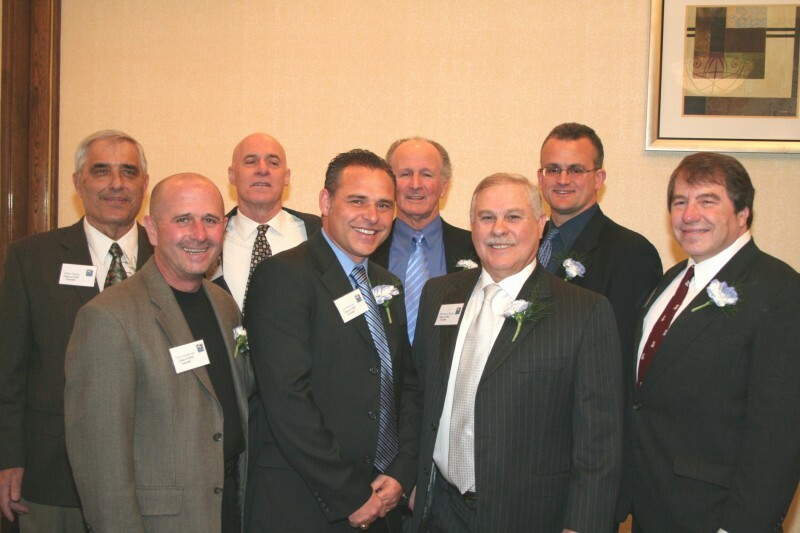 Milan has been an active coach and administrator in the state for 30 years in the East Lyme and Southeastern, Connecticut. Details: East Lyme Soccer Club founding member, President , and Coach (1978-2007); CJSA Board of Directors and SE District VP (1982-present); Southeast Soccer Club founder, President and Coach (1985-present); 1st Girls Soccer Coach at East Lyme HS (143-36-20), State finalist 1998, ECC champions-1993 & 94, 1997-2000; 2 ECC Team sportsmanship awards; ECC Coach of the year 1993, 98, 99; Southeast CT Soccer Hall of Fame founding member and President (2004-present) ; Southeast CT Soccer Hall of Fame Inductee (2007); Town of East Lyme Youth Service Award (1998); East Lyme dedicated “Milan Keser Soccer Field” for contributions to East Lyme soccer (2002). 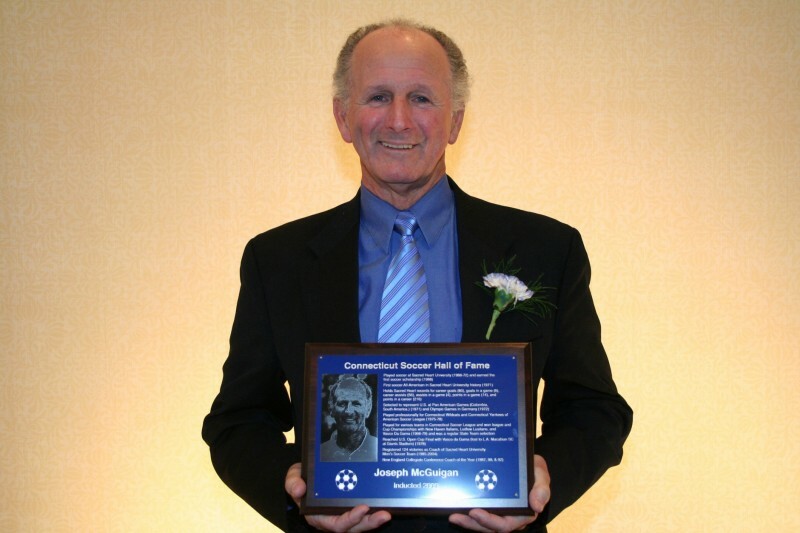 Joe’s soccer career is defined by his dedication as a player and coach at Sacred Heart Univ in Bridgeport, CT. His scoring records from 1968-70 still exist and his coaching tenure spanned 20 years. Details: Played at Sacred Heart University (1968-72) and earned the first soccer scholarship (1968); First soccer All-American in University history (1971); Holds Sacred Heart records for career goals (80), goals in a game (6), career assists (56), assists in a game (4), points in a game (14), and points in a career (216; Represented U.S. at Pan American Games (Colombia, South America.) (1971) and Olympic Games in Germany (1972; Played professionally for CT Wildcats and CT Yankees of American Soccer League (1975-78); Registered 124 victories as Coach of Sacred Heart University Men’s Soccer Team (1985-2004), NECC Coach of the Year (1987, 90, & 92). Bill’s prowess as a defender made him an integral part of two powerhouse programs, E.O. Smith HS and the University of Connecticut. Details: Two-time All American at E.O. Smith High School (1977 & 1978) and two state championships (1975 & 1976) including an undefeated season in 1975; Played in Youth World Cup qualifiers for United States (1977) as member of U.S. Junior National Team; NSCAA All American at UConn (1982-2nd team); Member of 1981 NCAA Division I Championship Team (20-3-2), scored first goal for UConn in 2-1 win over Alabama A&M in title game; Scored 25 goals and recorded 9 assists as a defender for UConn over 4 year career; Most Outstanding Senior Athlete at UConn (1983-84). “Chip” perfected his officiating skills in Connecticut before advancing to the professional ranks and national assignments. Details: Connecticut State Referees Association Secretary (1981-96); Connecticut Referee of the Year Award (1992); Connecticut High School Coaches Girls Referee of the Year Award (1999); United States Soccer National Referee (1988-2006); FIFA Assistant Referee (1992-98); Officiated 140 games in Major League Soccer (1996 – 2006); Career includes officiating MLS All Star games (1996 & 1998), MLS Cup (1998), & seven World Cup qualifiers (1994 & 1998 tournaments); Major Indoor Soccer League (MISL), National Indoor Soccer League (NISL), and Xtreme Soccer League (XSL) professional indoor soccer referee (2006-present). 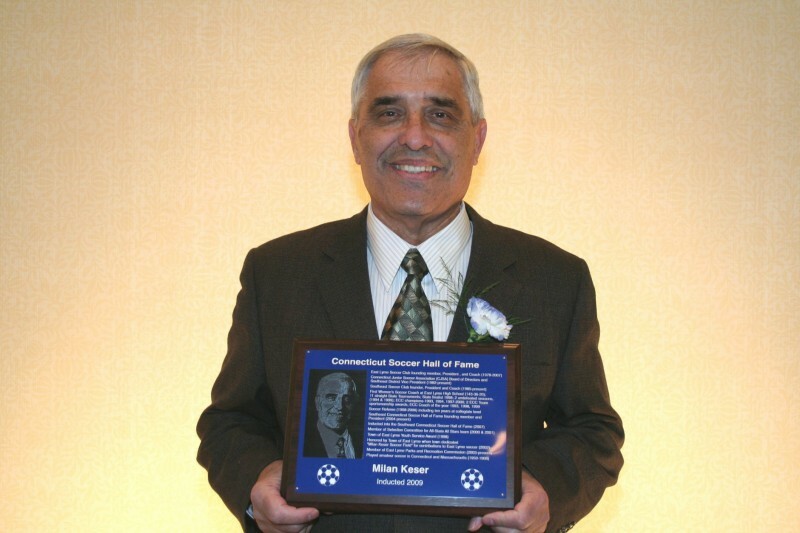 Sal was a perennial all-star during the peak years of the Connecticut Soccer League before sharing his expertise as an adminstrator in the state. Details: Played for Hartford Public High School (1963-64); Outstanding player in CSL for Italian-American Stars, Hartford Hellenic SC, and New Britain General Ameglio SC (1964-82); Won U. S. National Amateur Cup with Italian-American Stars (1967); Won CSL championships seven times and CSSA State Cup title nine times (1965-1980); CSSA Vice President (1977-86); USSF Region I Select Team program manager (1986); Hosted and organized USSF Regional Tournaments, including the first Eastern U.S. Women’s Amateur playoff (1983), Region I Select Team tournament (1984), and 1st Regional U23 tournament (1986). 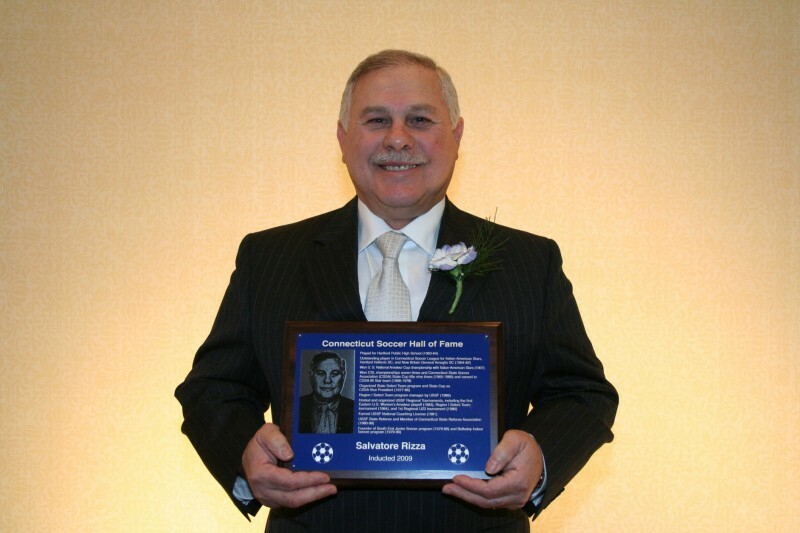 The Connecticut Soccer Hall of Fame honors Southern Connecticut State University with a Special Regognition Award for overall excellence in its soccer program and for their contribution to Connecticut's rich soccer history. Bob Dikranian built the Owls program into an NCAA Division II power in the 1970’s and ‘80’s and earned seven trips to the final four. Dikranian won his only title in 1987 before retiring in 1989. Ray Reid took over the coaching reins and led Southern to three more Division II championships (1990, 1992, 1995). Coach Tom Lang added two more titles in 1998 and 1999 giving Southern Connecticut six overall national championships, the most for any school in NCAA Division II history. In addition to the numerous titles, Southern’s alumni roster boasts 51 National Soccer Coaches of America (NSCAA) All-Americans, 4 National Players of the Year, 11 Major League Soccer players, and 12 United States National Team players.